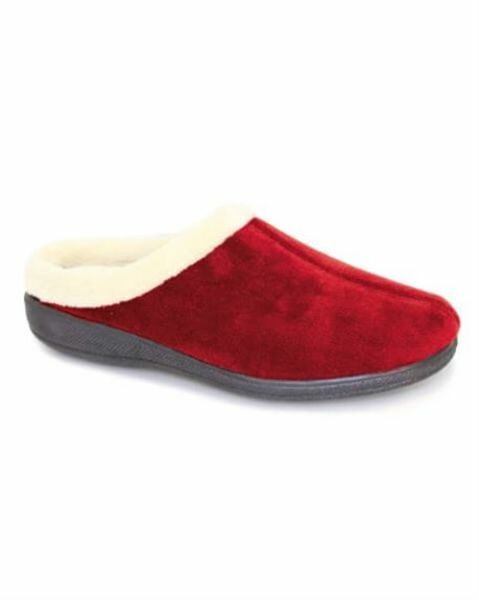 Classic Ladies Memory Foam Slipper. Sizes 3-8. Fancied these slippers before, when I saw them reduced in the sale I had to have them. First Christmas present bought! Thank you. Memory foam slip on slipper with contrasting collar and man-made sole. Red. "Fancied these slippers before, when I saw them reduced in the sale I h ..."